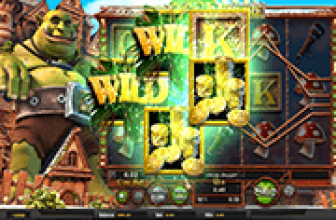 This game offers its exciting gambling experience in 30 wager lines and 5 reels. Since the game is themed around the gold fever, players will see gold inspired symbols and layout design. For instance, the buttons that players will click on to spin the reels, place wagers, choose coins and lines come in the form of mining carts which have gold in them. 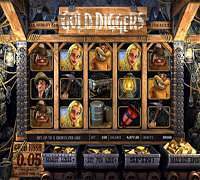 The symbols appearing on Gold Diggers’ reels and lines include mining lamps, carts, pick axes, gold, dynamites, a coal cart and a beautiful blonde. All of these 3D symbols are of great quality as they offer players an immersive experience. these symbols would also turn into animations whenever they are a part of a winning combo, or when a special feature is triggered. Players will place their stakes at the bottom of the screen by choosing a coin size then choosing how many coins they want to place on each line and the lines that they want to activate. 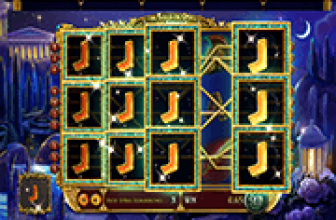 All of this creates the range of stakes for players that varies between 0.05 and 150 casino credits for each spin. 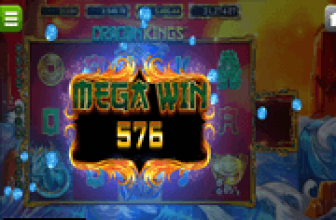 The paytable of this video slot game can be viewed by clicking on the View Pays button that is located in the top area at the right side of the screen. This will show players all of the possible winning symbol combinations and their payouts. It will also show all of the possible bonus rounds and features. One of the distinctive symbols is the dynamite symbol. If players get 3 of these special symbols, they will explode and they will create new combinations which increases players’ chances of creating a winning combination.